To secure your child’s place, a $100 deposit is required (use the button below to pay). Location: Faith Methodist United Church conveniently located at 2701 S. Lamar Blvd., Austin, TX 787804, in between Manchaca and Bluebonnet on South Lamar. $37/class, payable in full before start of each semester. Classes will run through mid-May, following the AISD calendar for holidays. Class size will be maximum 10 children. Classes will be drop-off with occasional parent participation. Feel free to stay for the first class if you/your child would be more comfortable. Lori Kline, born and raised in Pittsburgh, Pennsylvania, credits her love for Judaism to Mrs. Heller, her preschool teacher with a magical flair for making all things Jewish sparkle. To this day, Lori strives to bring a splash of that touch to each Jewish child she encounters. Lori transplanted to Austin in 1984 to attend the University of Texas, receiving her Masters Degree in Speech/Language Pathology, which she practiced for over 20 years, and now focuses her professional efforts on b’nai mitzvah tutoring. Lori has been a longstanding member of Agudas Achim, where she led Tot Shabbat for 5 years, has taught in various capacities, and enjoys participating in lay leadership. Lori delights in singing, camping, and hiking. She is married to David Kline and has a 17 year old son, Josh. Matt Rosenstein was raised with a strong Jewish identity and has an extensive background in Jewish learning, having attended Solomon Schechter school, a Jewish day school in Dallas. He has worked with religious school programs for years in both Dallas and Austin. Matt was inspired to teach by his experiences with his mentor and high school theatre teacher, who instilled in him a desire to help others reach their potential and find joy in learning. Throughout his journey as an educator, Matt has striven to live up to that teacher’s example. Matt studied Theatre Education at the University of Texas and is excited about all the possibilities for teaching curriculum through the dramatic arts. He has a natural facility for working with children, for making learning fun, and for imparting his love of Judaism. Francine Chlebowski is a graduate of McCallum Fine Arts Academy and current student at Austin Community College. She is majoring in General Studies in Art while earning a degree in K-6 Education. She has over six years of teaching experience in Jewish education, as a teaching assistant and co-teacher at Congragation Agudas Achim Religious School as well as substitute teacher for Austin Jewish Academy. She has additional experience as a camp counselor, piano tutor, and volunteer piano teacher at the Texas School for the Blind and Visually Impaired. When not studying, Francine can be found playing the piano or listening to music. She is a classically trained pianist and musical theatre enthusiast. She loves to work on arts and crafts, play video games, and spend time with her bird, Peewee. She's incredibly excited to teach her first semester at Selah! Sandy Raben is an enthusiastic and well-loved teacher with many years of experience in Jewish congregational and day schools. A native of Philadelphia and a graduate of Philadelphia High School for Girls, Sandy received a teaching certificate from Graetz College, her B.A. from the University of Pittsburgh and a M.A. in Jewish Studies and Communal service from Brandeis University. In addition to her teaching, Sandy has served as an educational director in Toronto, Ann Arbor, Seattle and in San Diego. She currently teaches 5th grade at Congregation Agudas Achim and has taught at both Temple Beth Shalom at one of their satellite campuses and at Congregation Beth Israel. She is the mother of 3 children and grandmother of 2 grandchildren. She loves teaching and is skilled in working in a multi-age classroom. Rabbi Susan Lippe (Guest Teacher) is an enthusiastic and creative teacher. She enjoys talking, listening and laughing with our students. 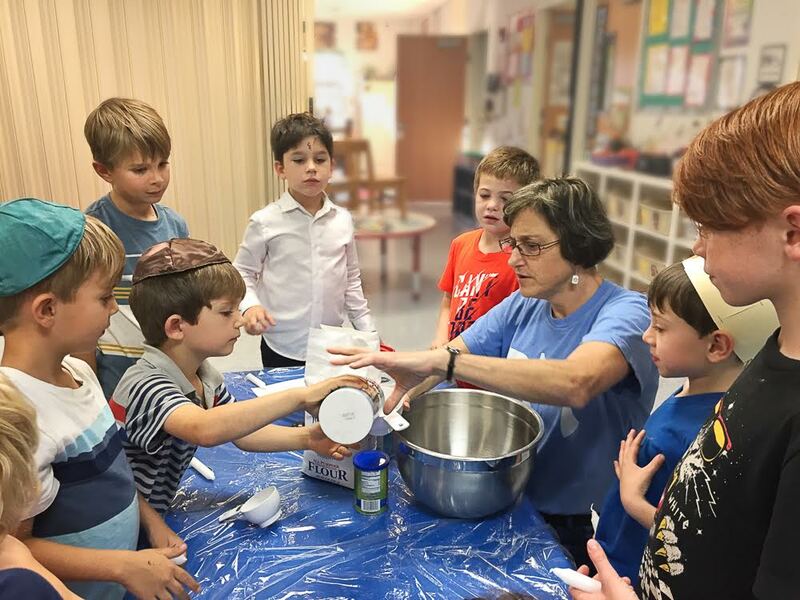 She is masterful at engaging children and inspiring a love of learning through projects like Jewish Origami and fun skits based on Bible stories.Rabbi Lippe comes to us with a great deal of education and experience. She earned a Masters in Jewish Education (1997) as well as Rabbinic Ordination (2000) at Hebrew Union College – Jewish Institute of Religion. She worked as a Rabbi-Educator at Congregation Beth Am of Los Altos Hills, California for 6 years and the Rabbi-Educator at Congregation Beth Israel of Austin, Texas for 7 years. Rabbi Lippe loves teaching at Selah School because she loves our prayer community and the amazing staff at CAA. When she isn’t praying, shmoozing, noshing, teaching or learning at Selah, Rabbi Lippe is probably crocheting something cool to donate or studying Modern Spanish and Biblical Greek. Nina Miller started Selah School out of her living room five years ago with one teacher and four kids. It was the collaborative vision of Nina Miller, Brian Lindauer, and David Ansel who at the time were all parents of young children and wanted a version of Judaism and Hebrew school that fit in with their south Austin lifestyle. Nina has worked closely with Dr. Harvey Raben from the beginning to create a program that resonates with the desires and objectives of our school’s parents. Together they have grown the school to over 20 students with four dedicated teachers. These teachers bring engaging and interactive learning to the classroom through baking projects, drama, yoga, music, and other creative vehicles through which the curriculum is taught. 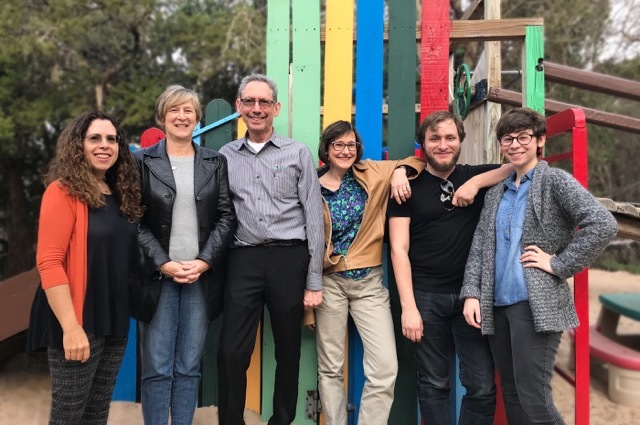 Nina’s goal for the school is to make learning meaningful and fun, to build a rich Jewish community in South Austin, and to instill a sense of Jewish pride and Jewish identity in each child. Nina is originally from Boston and has lived all over the US as well as in Paris, Switzerland, and Israel. She has degrees from Northwestern University in Fine Arts and French literature and from Art Center College of Design in graphic and packaging design. She travels extensively with her techie husband and adventurous 10-year old son. Nina is a family and lifestyle photographer and healthy food blogger. Dr. Harvey Raben earned an MA in Contemporary Jewish Studies from Brandeis University and his doctorate from the University of Toronto in Education. He has served as teacher and administrator in Montreal, Toronto, Seattle and San Diego. He returned to Texas, where he grew up, in 2009, as Director of Congregational Learning at Agudas Achim and has since been deeply involved Jewish education in Austin. A father of 3 children, Harvey and his wife Sandy enjoy the vibe of Austin, especially with one of his home brews, a serious hobby he continues in Austin. From the earliest stages Harvey has supported the creation of Selah, from the ‘heavy lifting’ of setting up chairs at the first Selah services at Casa De Luz to the beginnings of Selah school in South Austin. Harvey has enjoyed the collaboration with Selah’s committed lay leadership and supports Selah in creating its own educational path in South Austin. We hold our classes in the beautiful facilities of Faith Methodist Church preschool. It has large, open, bright classrooms, a fully functioning kitchen, multiple bathrooms, and a gorgeous playscape.